• Clipframes, Thin/Medium/Wide Molding Frames. • In sizes from 4x6" through 27x41". 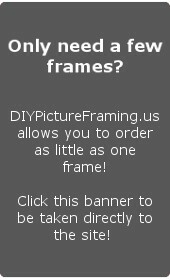 • Complete kits - just add images, frame and hang! Shop Online for a Great Selection of Gallery Style Frames.